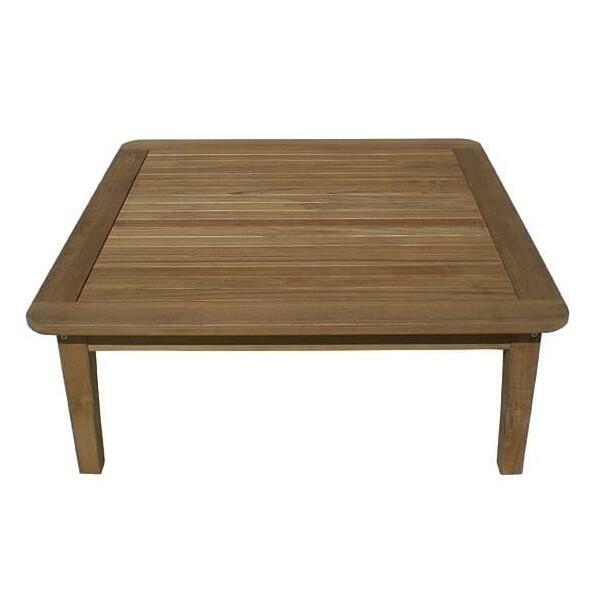 Teak Sectional Patio Furniture - Customize & Build Your Outdoor Area! 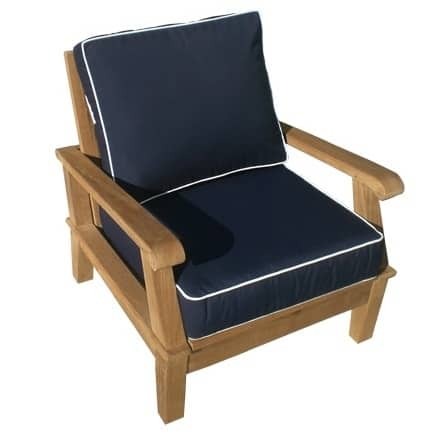 Do you have a large or small outdoor area, and traditional patio furniture collections just seem to be too big or too tiny to fit into your space? 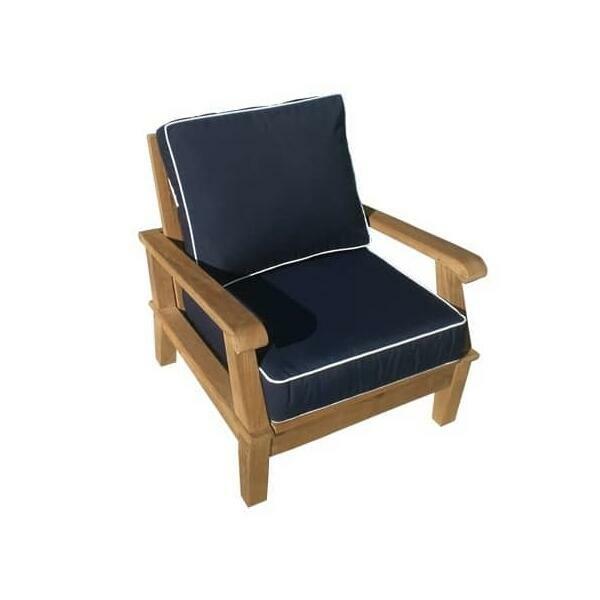 If finding the right size patio furniture for your veranda, deck or porch is becoming a daily headache, consider the Miami Teak Sectional Outdoor Furniture by Royal Teak Collection and Family Leisure. Sectional patio furniture is a great solution for eclectic spaces, granting the homeowner control over the size and seating options they offer their guests. 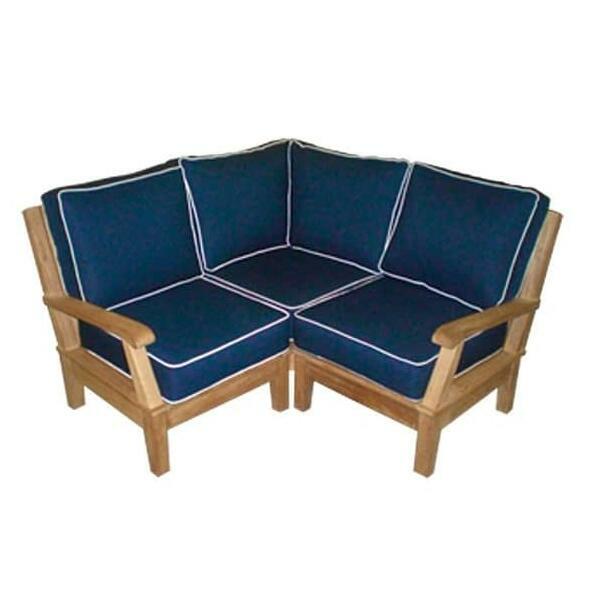 Build your own sectional sofa that fits snugly into a corner of a patio with this collection from Royal Teak. 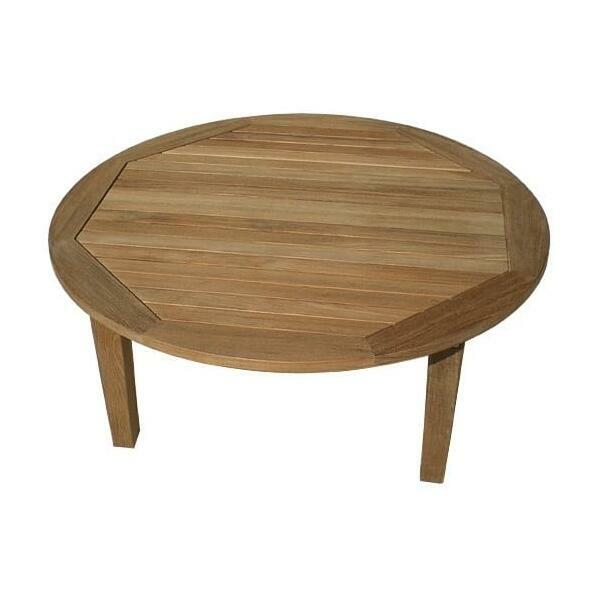 Pair it with a coffee table or maybe a few side tables for an exceptional seating experience all visitors will love. 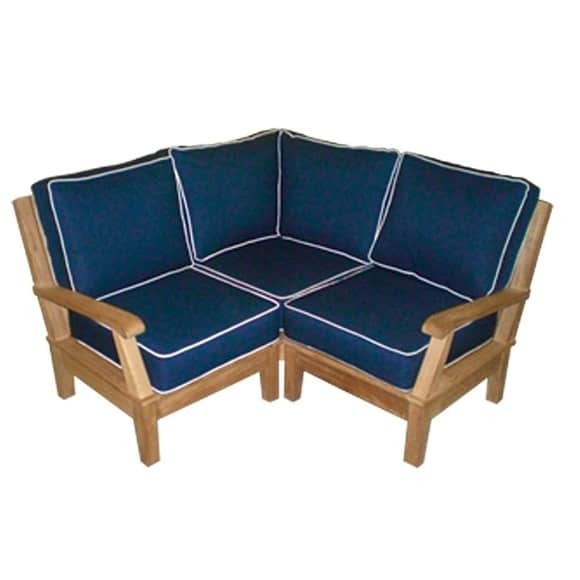 With this collection you have three in-stock colors to choose from when it comes to the cushions: navy with off-white piping (pictured above), bronze with off-white piping and off-white with off-white piping, along with dozens of custom fabric options (please call for details). 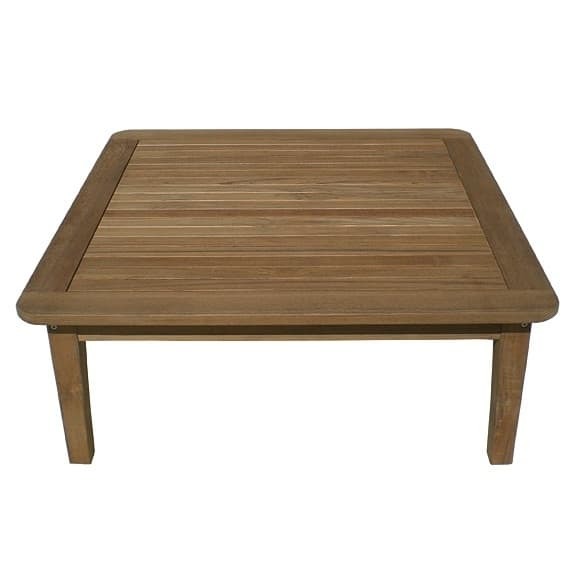 This set stands out from others through its use of traditional teak wood, the preferred medium of shipbuilders and craftsmen of outdoor products for centuries. 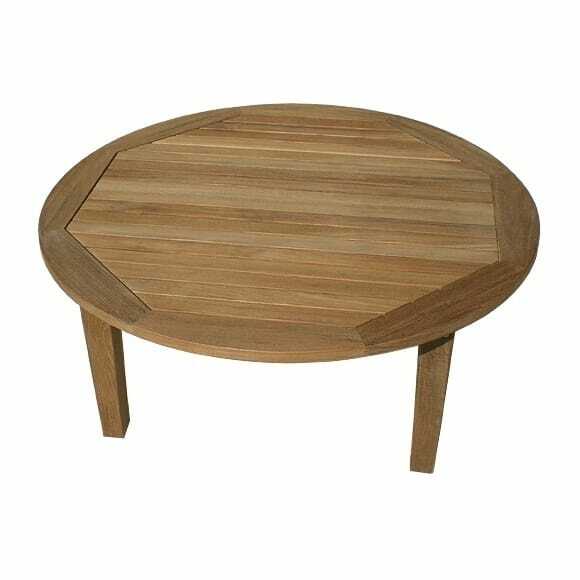 This manufacturer uses Grade A teak for this furniture, which offers a superior density and higher levels of silica and natural oils than traditional teak. It will repel water while preventing insect damage. 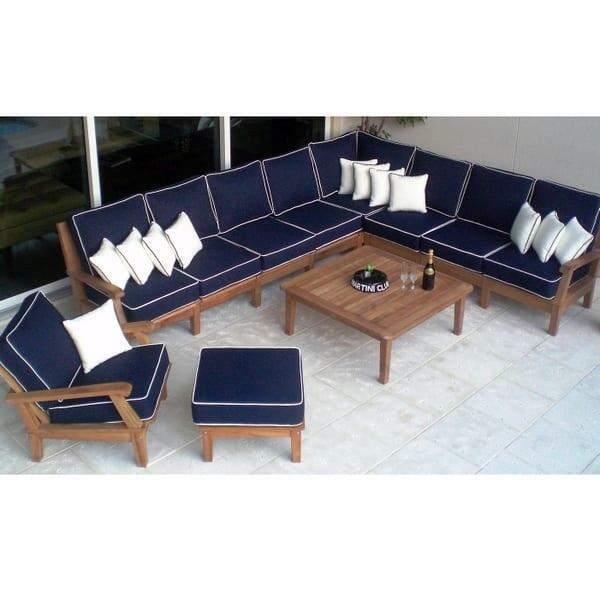 So create a huge outdoor living room or bring cushion comfort to a small corner outside your home with the Miami Teak Sectional Outdoor Furniture by Royal Teak Collection and Family Leisure! Sectional, Club Chair, Ottoman, Square Table, Pillows and Cushions Shown. W 24" x L 24" x H 17" - 20 Lbs. W 24" x L 43" x H 16.5" - 40 Lbs. W 20" x L 20" x H 16.5" - 15 Lbs. W 42" x L 42" x H 16.5" - 38 Lbs. W 42" x L 42" x H 16.5" - 47 Lbs.